Patients with injuries to the nervous system, such as spinal cord injury, traumatic brain injury, glaucoma, and various neurodegenerative diseases, including Parkinson’s disease, Alzheimer’s disease, amyotrophic lateral sclerosis and multiple sclerosis, usually have lifelong suffering due to the fact that mammalian neurons in the central nervous system (CNS) have low or even no axon regeneration abilities. 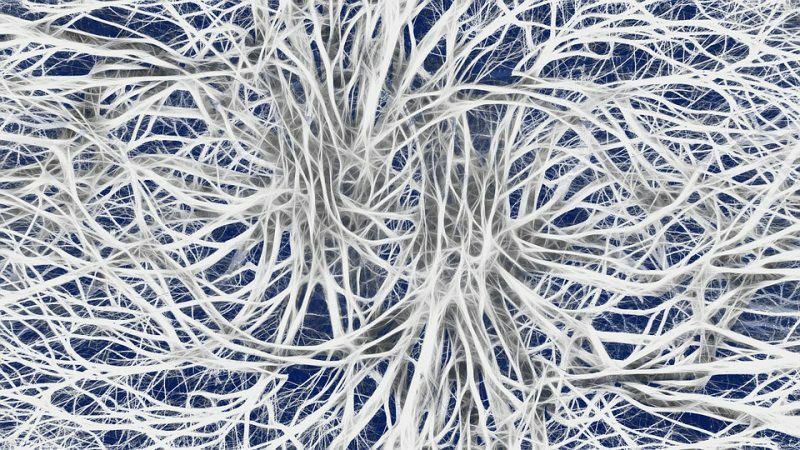 Neuroscientists have been struggling in search of a way to effectively promote axon regeneration in injured or degenerated mammalian CNS neurons, which is the prerequisite of full recovery of neural functions. Mammalian CNS neurons are terminally differentiated cells that gradually lose their axon growth ability during maturation. This is now believed to be the result of the changes in gene expression profile during cellular maturation. While CNS neurons have very low axon regeneration ability, neurons in the mammalian peripheral nervous system (PNS) still possess such ability. Instead of starting the programmed cell death after axonal injury, which is commonly seen in CNS neurons, these PNS neurons can reclaim their potential to grow their axons by reactivating the expression of a series of regenerative genes. During the past decade, several such genes have been discovered and manipulation of these genes could strongly promote CNS axon regeneration. One of the goals in our lab is to unveil more regenerative genes in the PNS and test if manipulation of them can promote axon regeneration in the CNS. In our study, we used sciatic nerve injury in mice as our PNS neural injury model. We found Lin28a and Lin28b, two paralogous genes, were rapidly upregulated in the PNS neurons upon peripheral nerve injury. Such upregulation contributes to the reactivation of axon regeneration ability because when we knocked down the expression levels of Lin28a/b in these neurons, their axon regeneration ability is largely impaired. Furthermore, when we overexpressed Lin28a or Lin28b in these neurons, they regenerated their axons at a higher speed. These results demonstrated that Lin28a/b are regenerative genes. Thus, we tested the function of these two genes in our CNS model. We overexpressed Lin28a or Lin28b in retinal ganglion cells of mice, and crushed their optic nerves, which contain the axons of the RGCs, and found these CNS neurons regained their axon growth ability and led to strong and sustained optic nerve regeneration. Our findings revealed Lin28a/b as novel positive regulators of PNS and CNS axon regeneration. Previous studies have discovered that when reintroducing the expression of several genes into differentiated cells, these cells can dedifferentiate and turn into induced pluripotent cells (iPSCs). Such a process is called reprogramming and these genes are named reprogramming factors. Interestingly, among these genes, Klf4 and c-Myc have been identified as important regulators of mammalian axon regeneration. Another gene, Sox11, which comes from the same family with another reprogramming factor Sox2, has also been proven to promote axon regeneration in injured peripheral nerve and some subtypes of RGCs. Lin28, an RNA-binding protein originally discovered in C. elegans as a vital developmental regulator, is also a reprogramming factor. Our study implicated that reprogramming factors may play important roles in the regulation of transcriptional program supporting axon regeneration, and manipulation of them may be an effective way to promote axon regeneration in mammalian CNS. Lin28a/b mainly function through their regulatory partner, let-7 microRNA family, by blocking the posttranscriptional biogenesis of mature let-7 microRNAs. Although some let-7-independent mechanisms have been reported as well, our study showed the axon regeneration-regulating function of Lin28a/b is let-7 dependent, because when we co-overexpressed let-7a, a member of the let-7 family and Lin28b in PNS neurons, the promoting effect on axon regeneration of Lin28b was totally blocked. In C. elegans, let-7 was previously reported to negatively regulate axon regeneration in anterior ventral microtubule neurons during neuronal aging. Our finding indicated that the role of let-7 as a negative regulator of axon regeneration is evolutionarily conserved from nematodes to mammals. Future studies to illuminate the molecular mechanisms by which Lin28 signaling regulates axon regeneration will not only provide new insights into mammalian axon regeneration but also reveal novel candidate genes that can be targeted to enhance CNS axon regeneration. These findings are described in the article entitled Lin28 Signaling Supports Mammalian PNS and CNS Axon Regeneration, recently published in the journal Cell Reports. This work was conducted by Xue-Wei Wang, Qiao Li, Philip A. Hall, Jing-Jing Jiang, Christopher D. Katchis, Sehwa Kang, Bryan C. Dong, and Feng-Quan Zhou from Johns Hopkins University School of Medicine, Chang-Mei Liu from Johns Hopkins University School of Medicine and the Chinese Academy of Sciences, and Shuxin Li from the Lewis Katz School of Medicine at Temple University. Xue-Wei Wang is a post-doctoral researcher at John Hopkins School of Medicine Department of Neuroscience. Their main research areas include behavioral neuroscience, signaling pathways, and cognitive task analyses.